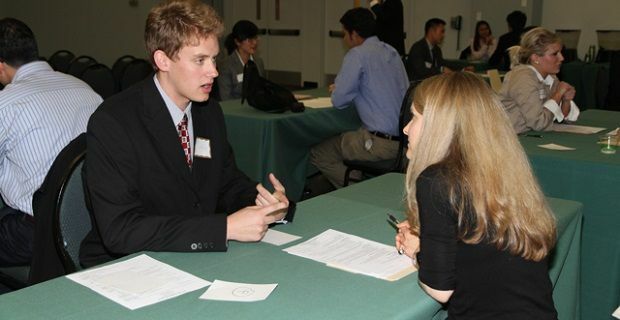 An upcoming job interview can cause a lot of worry because you’re not sure what to expect. If you’re aware of the most common interview questions, you’ll be able to prepare a little better. You’re normally faced with this open-ended question at the start of the interview. This is one that you should keep short and sweet. Don’t start talking about your career aims and aspirations, this is a chance to highlight some of the best points on your CV. Make mention of your qualifications and any high points in your career so far. This is a chance to subtly promote yourself. Don’t say anything negative about others to make yourself sound good and make sure you don’t stray from experiences you’ve had at work. Explaining what a great negotiator you are because you stopped two friends fighting outside a pub isn’t going to go down well, unless you’re looking for work as a bouncer. Interviewers like to ask difficult questions and this is one of the common interview questions that is normally hard to answer. Be careful not to make yourself sound bad, so don’t mention your inability to make it to work on time or something similar. You should mention an area in which you can improve, so perhaps your IT skills aren’t as good as you would hope or a technical aspect of your job needs work. Whatever it is, make sure that you show an understanding of the weakness and a willingness to improve. By the way, don’t try and avoid the question by saying something like “I work too hard” or “I don’t have weaknesses” as the interviewer will have heard those before from unsuccessful candidates. You’ll also face questions like “Why should we hire you?”, “What are your career goals” and “Why do you want the job?” These are all questions that you’ll have to ponder yourself because their more personal than the other typical interview questions.